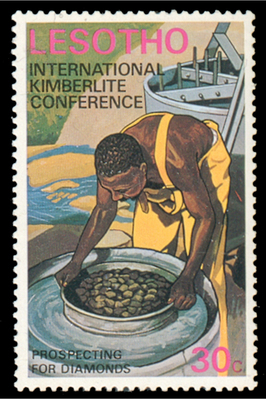 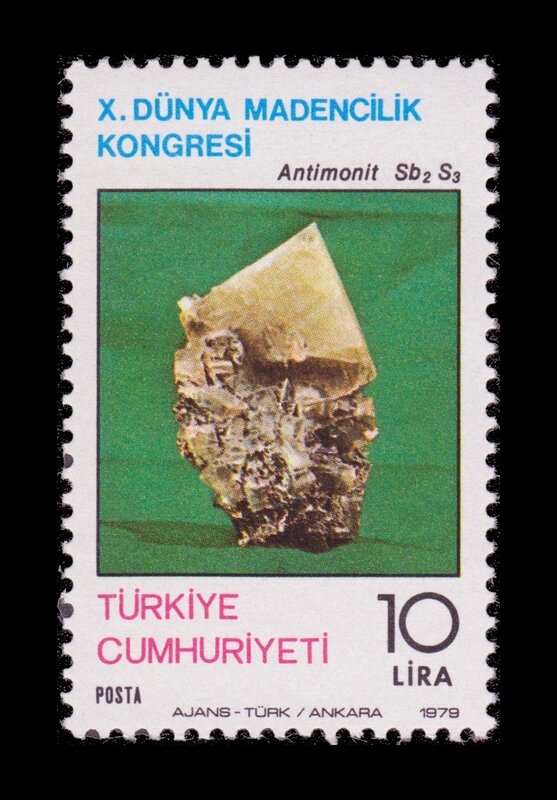 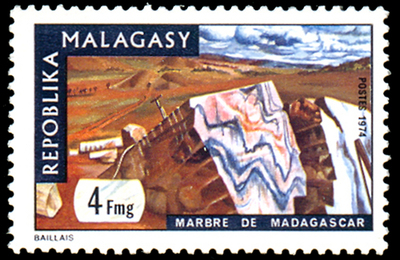 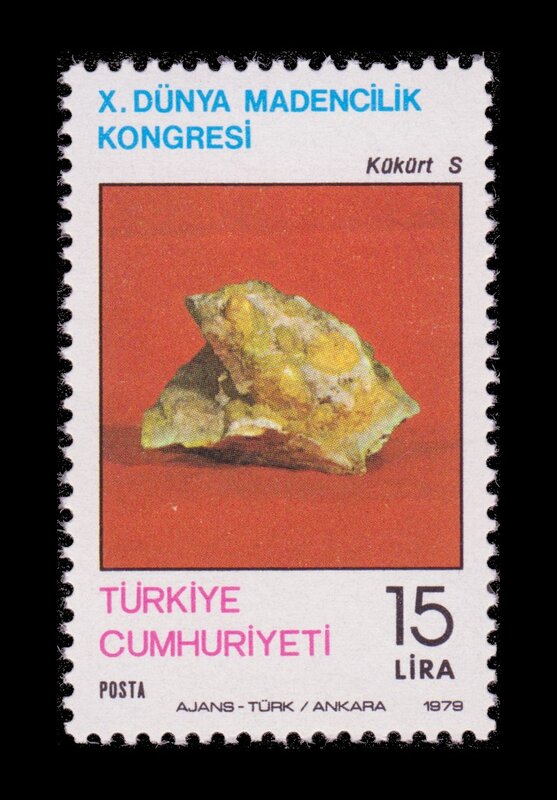 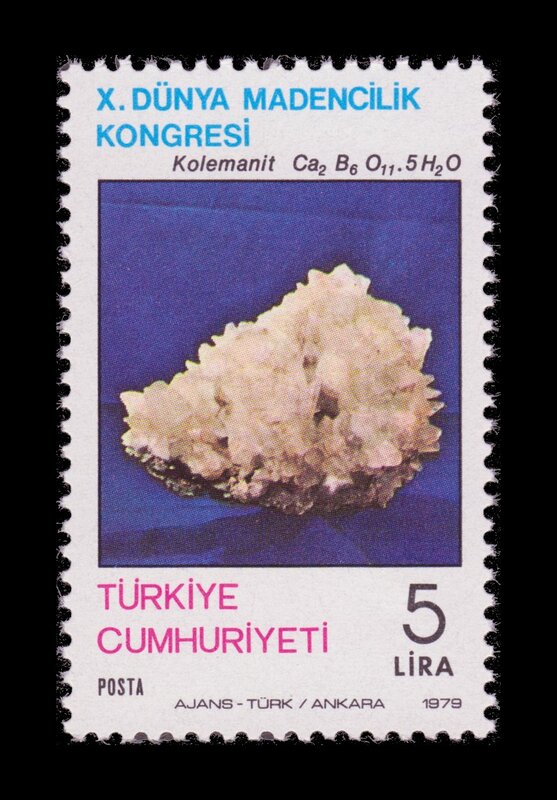 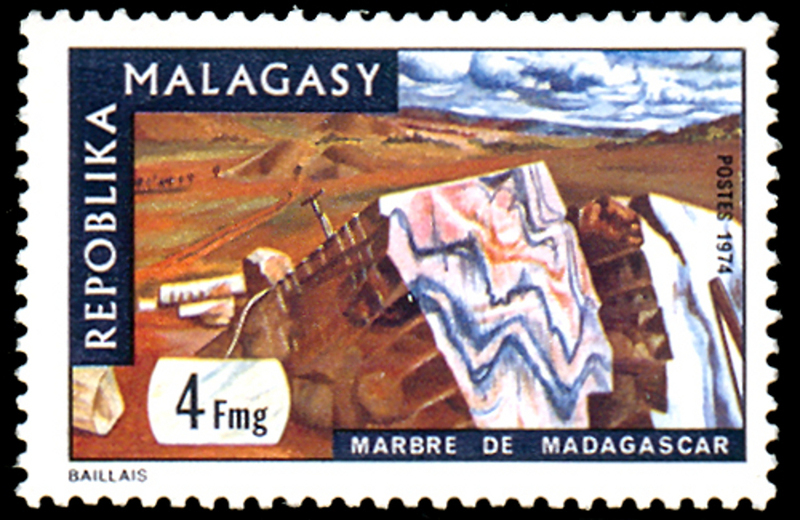 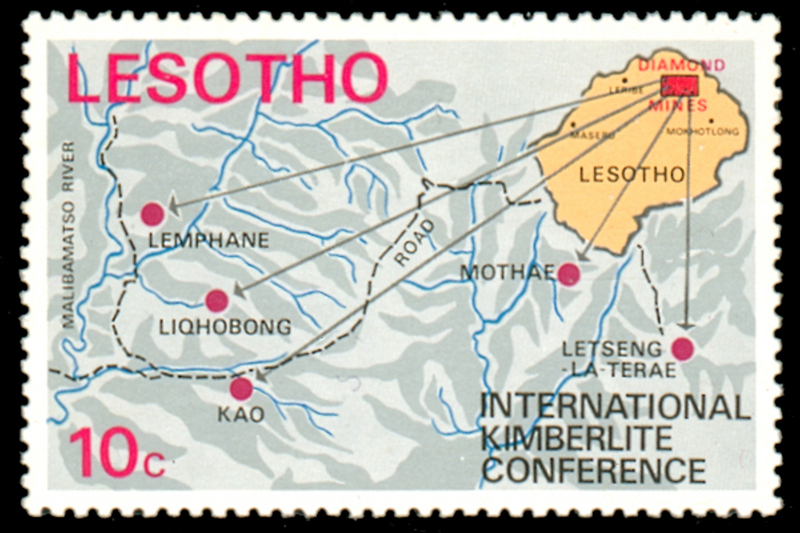 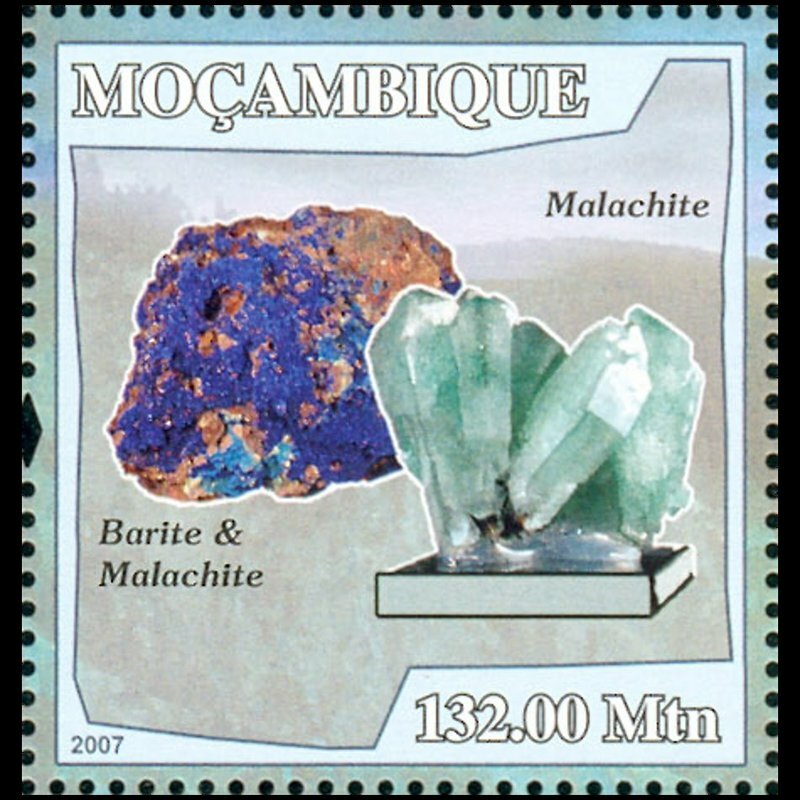 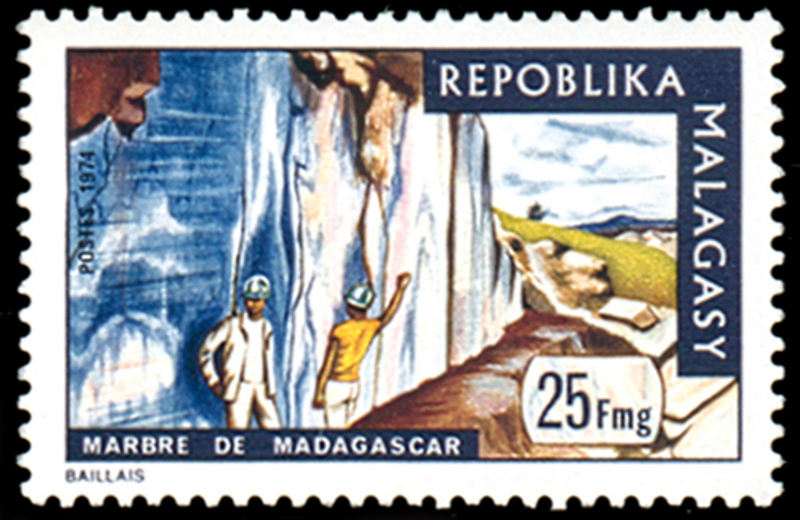 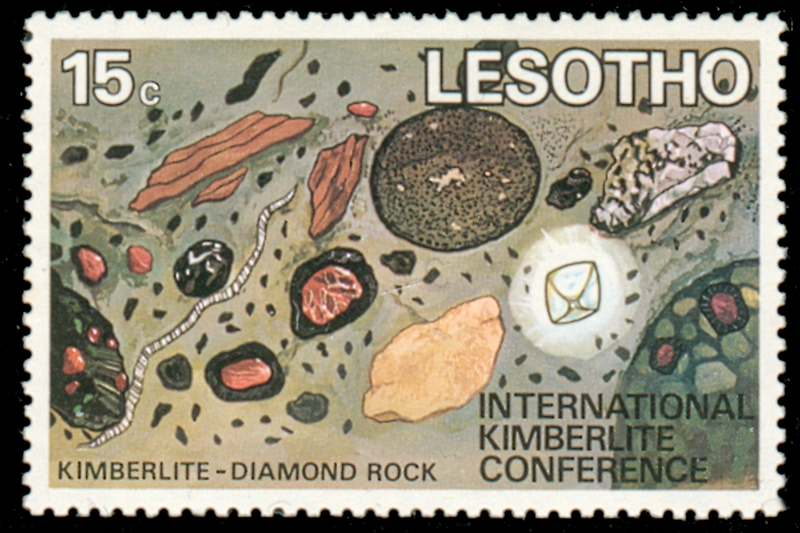 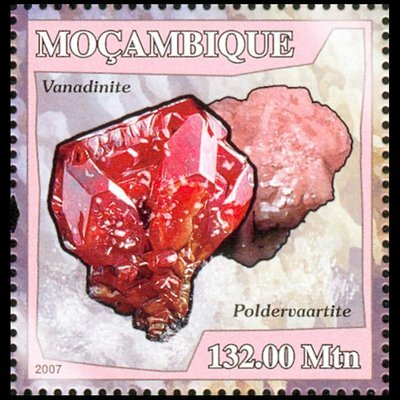 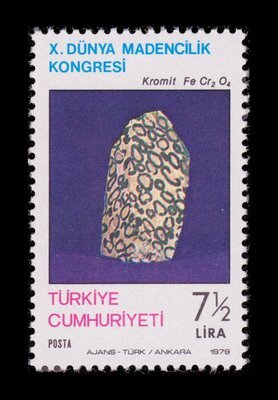 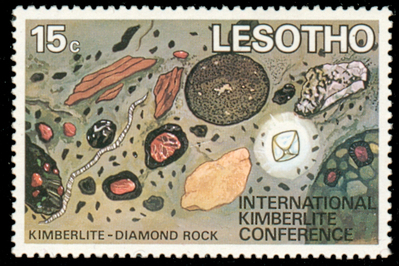 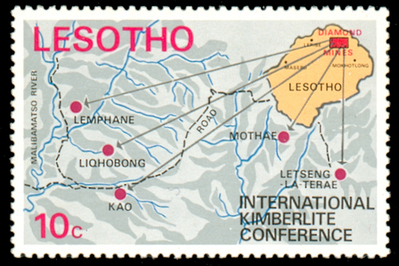 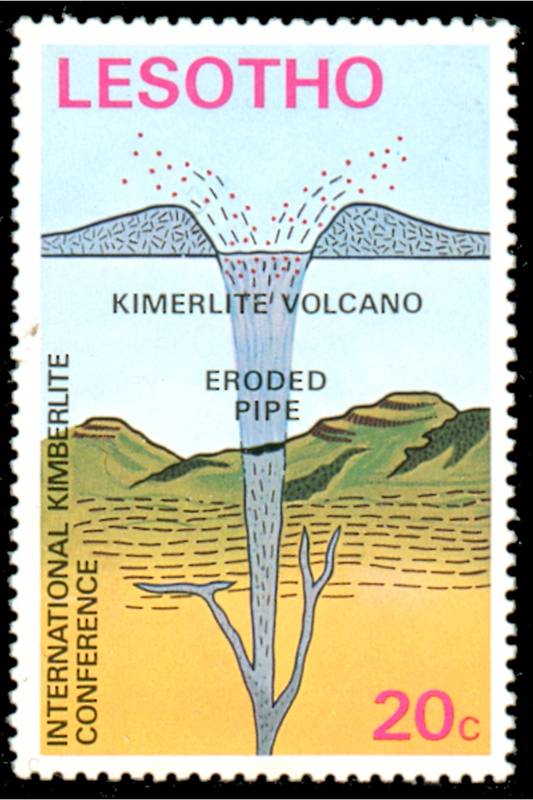 Almost every country has issued postal stamps featuring minerals illustrating their mineralogy. As an avid collector of both stamps and minerals, I have gathered many minerals stamps that I am putting online for the pleasure of rockhounds, stamps collectors, geologists and other amateurs of philatelic mineralogy and mineralogic philately. 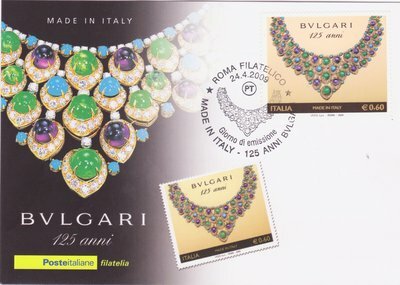 A stamp issued to commemorate the 125th anniversary of the jeweller Bulgari (BVLGARI). 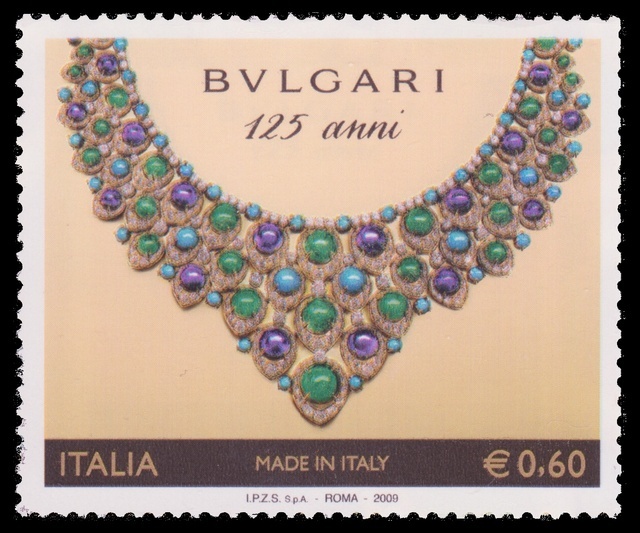 It features a gold and platinum necklace with diamonds, emeralds, turquoises and amethysts. 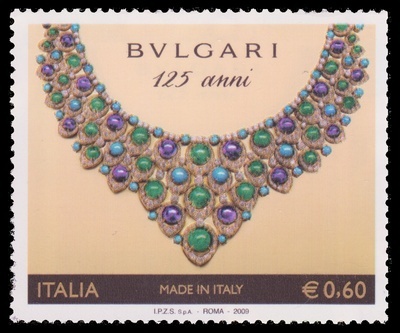 This is the first Italian stamp depicting minerals or gems. 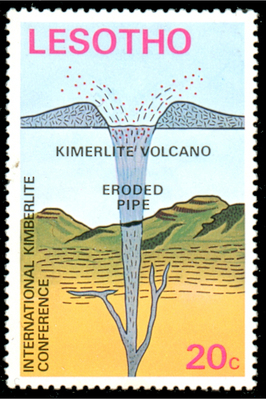 Many thanks to Professor Grubessi Odino (GeoStamps) for sending me a mint copy of the stamp and the First Day Cover of this very beautiful stamp!